The meeting will be run by Sergeant Patrick Brescia and Sergeant Andre Williams. 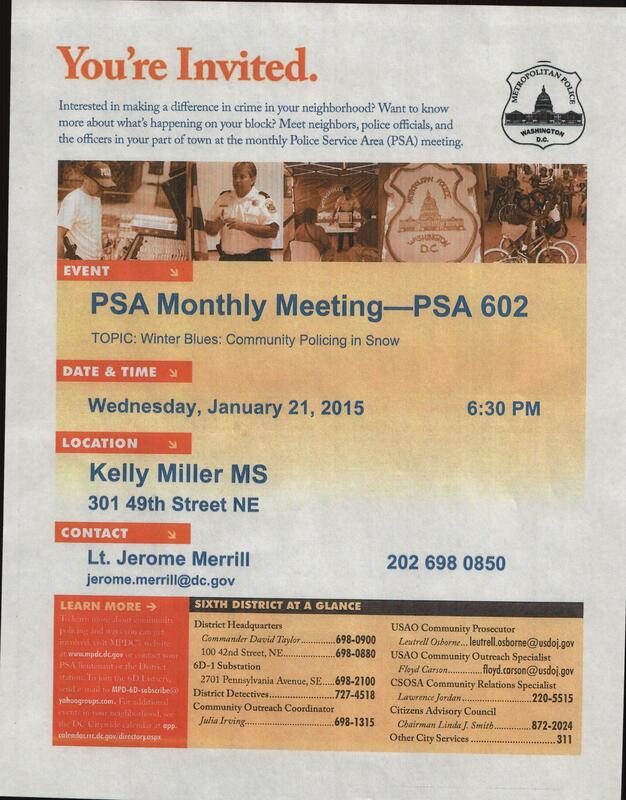 There will be a PSA 602 / 608 Community Meeting Kelly Miller School WED 5-15 2013. ØWe will need to discuss: Kelly Miller Closed JULY and AUGUST hold meeting.